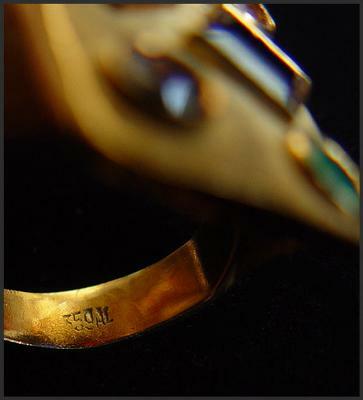 I have 3 18Kt gold vintage custom designed rings in my collection that all have variations of a similar hallmark. One is "359AL" another is "259AL" and the third is "223AL". All three rings are also stamped "750" within a squared diamond frame for the 18Kt gold content. All three rings are custom made One-of-a-kind pieces. Can you shed any light on this mystery?